In this episode of Data Snacks, we talk about the acquisition metrics that matter most and share the dashboard we use here at Databox. 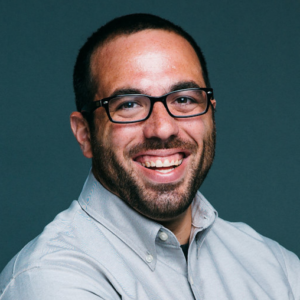 Acquisition reporting, and more specifically channel attribution, is one of the easiest things to overcomplicate. The amount of channels, dimensions, and demographics you can sort by is the greatest offender for analysis paralysis. I’ve been there. I’ve spent weeks, even months, trying to perfect the ideal view of acquisition efforts. 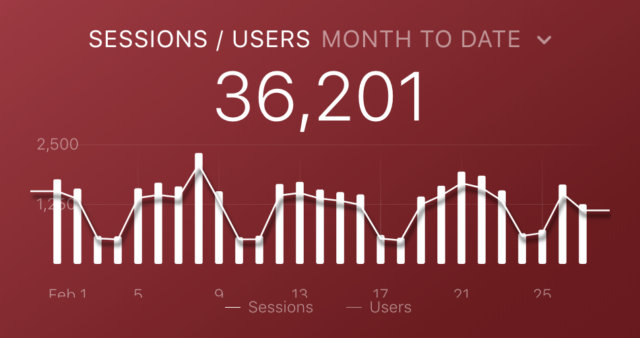 The main reason I joined Databox last year was that I saw the potential for this product to solve what had long been a pain point for me–spending less time on reporting so I could spend more time on the work. Focused: There are countless things you can track, but only a handful you should track based on your goals. Simplified: Filters and dimensions should help clarify insights and direction, not add complexity and cloud your understanding. This month at Databox we set a new record for new customers, an accomplishment I attribute to our efforts toward ensuring all of the above. In our latest episode of Data Snacks, I’m sharing how I built our acquisition dashboard using only Google Analytics, as well as the thought process behind it all. Want the template used in this episode? You can download it for free right here. 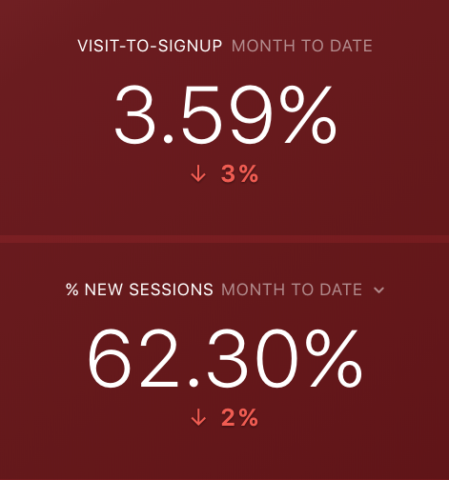 While most people debate the merits of each (sessions is a better measure for overall website engagement, users a better measure of unique engagements on your website) we’ve found it’s best to track both metrics against one another. By doing this, we’re able to quickly identify the makeup of our audience without having to spend more time digging deeper into the data. If “users” sees a low representation in comparison to “sessions”, it’s likely that a low number of unique website visitors account for your overall website engagement. From an absolute standpoint, this isn’t good or bad–you have to decide what that means for you. If “users” sees a high representation, it’s likely that you’re driving a lot of new website visitors to your website. This one is straightforward, however, the pie chart visualization allows for easy consumption. 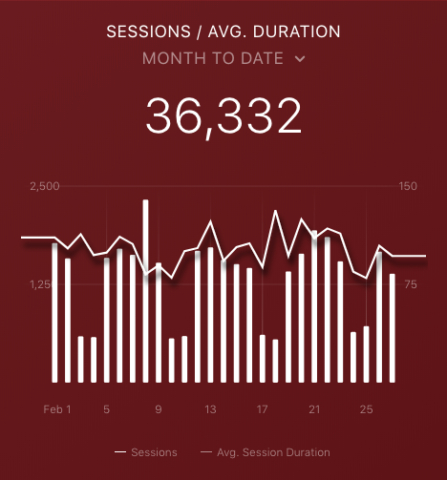 Based on the total number of sessions (or other metrics of your choosing) you can see which channels are driving the most volume. Sessions (or visits, users, pageviews–whatever your top-of-funnel metric of choice is), when viewed in isolation, are relatively trivial. Calculating your visit-to-signup rate is a better measure of how your website is actually performing. This helps protect against overvaluing volume growth at the top (“Hey! We increased traffic by 25%. Let’s celebrate!”) while seeing flat or low growth downstream. Driving more unqualified visitors from new channels and/or content you’re exploring. A healthy organic search strategy will show up in the number of new sessions you’re generating each month. 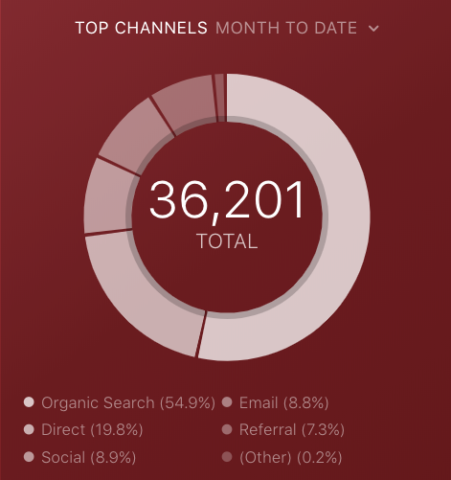 If your top channel is organic search, your % new sessions should be well represented as well. Keeping an eye on this is just one more way to protect against trivial growth at the top of your funnel. While the number of channels and platforms continues to grow and evolve, it becomes more important to identify high-leverage areas and spend less time on everything else. One area where this is most critical is social media marketing, as many marketers subscribe to the “check-the-box” method of simply posting their content and promotions to all of the available channels. It’s a poor approach and one that’s a result of a lack of visibility into how each platform performs against the whole. 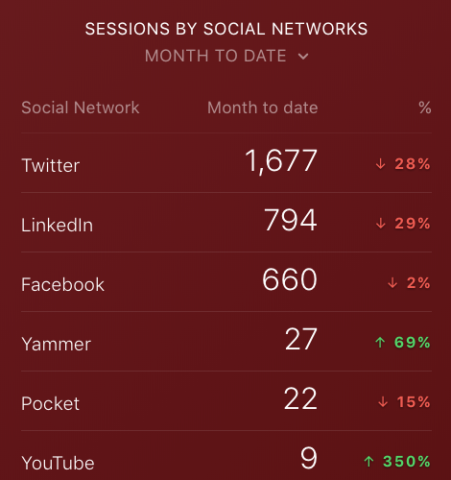 Tracking sessions by social networks with comparisons turned on is the best way we’ve found to continue prioritizing areas of high-leverage and ensuring there’s growth month-over-month. This is an area where I like to draw a correlation between the number of sessions we’re seeing, and the average length of time these sessions occur. The reason we track this is to quickly see if spikes in sessions result in a lower average session duration. If this is true, while not absolute, it’s a good signifier that we may have driven a higher number of unqualified visitors during a specific time period. Once again, it’s a way to get out in front of trivial growth at the top of your funnel and make any necessary changes to your website and/or distribution strategy in order to ensure the level of engagement you need. That’s it for now. Once again, you can grab the template here. Anything specific you’d like to see covered in future episode of Data Snacks? Drop your feedback in the comments section or feel free to tweet me @Bonini84.